The KD12 is a modern desk with a classical touch. 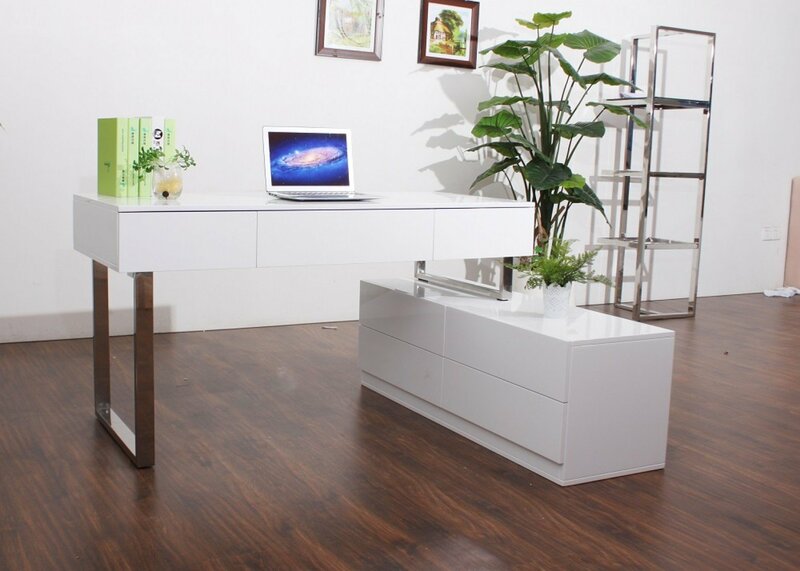 Made in a white lacquer finish, & paired with stainless legs for that luxorious look. Features 3 drawers on the desk, and made with an extra four drawers for additional storage. W49" x D18" x H18"